The Nominee must be a cybersecurity corporation of any structure that was incorporated no later than January 1, 2018. The Nominee can be a cybersecurity startup, early stage company, expansion stage, pre-ipo or post-ipo stage as long as its current valuation is not more than $250m USD. The Nominee must provide an executive summary of the business on a single sheet of paper, the Official Nomination Form, found here. We need company contact information, your mission statement, your vision, a summary of the company structure and relevant history. In addition, we need a summary of the products and services, their unique value proposition, intellectual property position, if any, competitive advantage, development status of the company (in beta, released, early revenues, growth revenues, etc.). The Judges would like you to describe the market opportunity, the target market, the geographical markets you are selling into, a list of top competitors, your 2018 financials, your 2019 projected financials and your 2020 projected financials. This can be top line gross revenues, including the profit margins. We would like a summary of your financing history, current valuation and if you are currently raising a round of financing. In addition, under the Conclusions section of the application you could summarize why you feel your Company should become a Black Unicorn. Whether you are a public relations or marketing agent or an employee of the nominee, you are free to fill out the Nomination Contact and Official Nomination Form here. 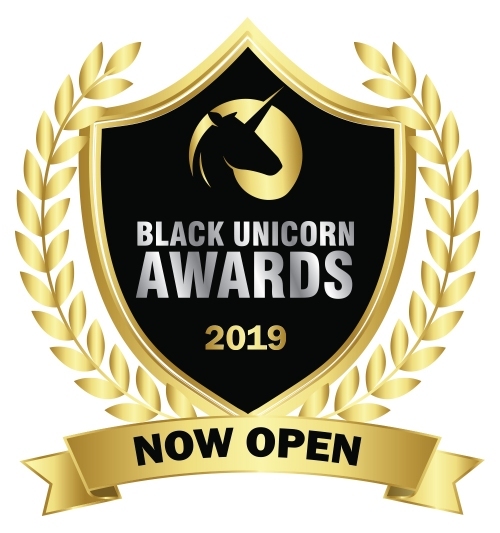 There is a non-refundable entry fee of $995.00 to cover all of our costs associated with the production and marketing of the Black Unicorn Awards for 2019.
or do not have access to PAYPAL for some reason. Either method is extremely safe, secure and we don’t store any credit card information to comply with PCI and other regulations. You need only enter once for one company – there are no separate categories for the Black Unicorn Awards for 2019.